Vintage vector illustration of a decorative design for warning posters and messages. Retro design concerning the atomic danger and nuclear power hazards. 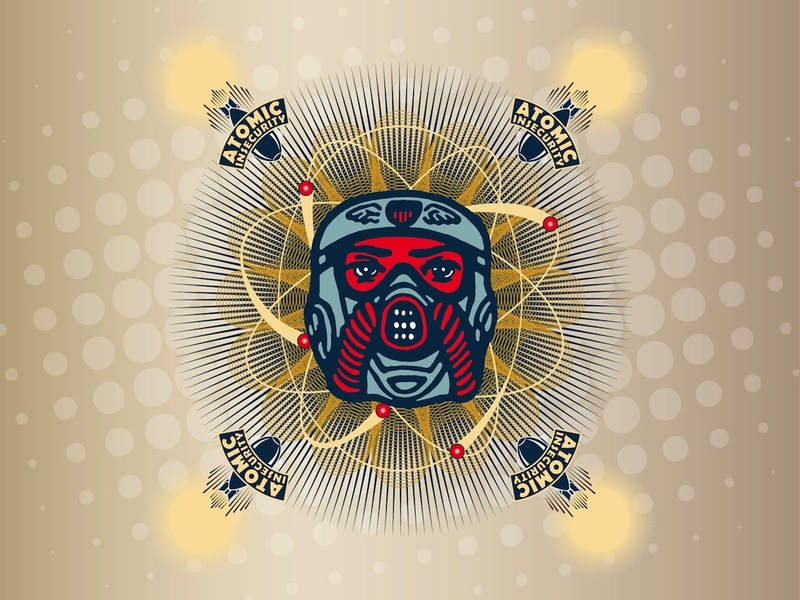 Big illustration of a face wearing a gas mask, abstract linear designs and atom models behind the head. Free vector retro design with atomic warheads and text. Tags: Atomic Warhead, Bomb, Gas Mask, Nuclear Power, Poster, Vintage, Warning.